The main products - centrifugal concentrators and magnetic separators. High levels of specific productivity and efficiency. Environmentally friendly. Only electricity and water needed to operate these machines. Low power consumption, light weight, small dimensions and required space. The high degree of extraction of heavy minerals in rich concentrates, unmatched performance for extraction of fine, "flat" and "floating" gold. A high degree of reduction up to 10,000 times, and low output of the concentrate. Automatic flushing of concentrate takes less than 1 minute. The horizontal and inclined position of the rotor axis of rotation increased reliability, possible ingress of water or sand in the bearing assembly. High quality workmanship and reasonable prices, acceptable delivery times, reliability, durability, equipment spare parts at delivery. Warranty service. Ease to operation, maintenance and repair, good resistance to emergency situations, working on circulating water. Equipment JSC ITOMAK has ensured with allowing documentation that regulating its work. All units are certified and have a certificate of conformity issued by the Federal Agency on Technical Regulating and Metrology. 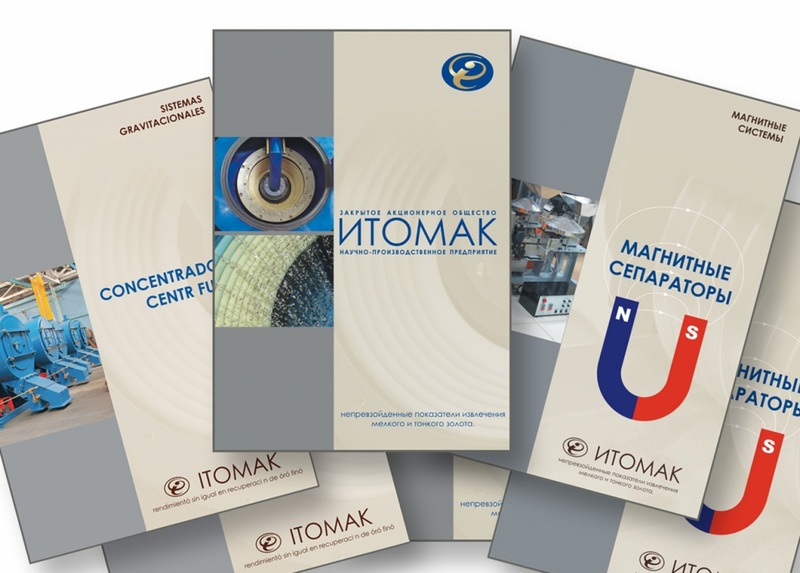 The concentrators ITOMAK is not inferior to the best analogues by technological indicators of extracting and the degree of concentration, it’s easy to repair and spare with parts kit. By purchasing our equipment, you can be sure that our experts will be involved in setting up devices on your characteristic for deposit products, as well as provide you with ongoing technical support and advice.